The natural software for flash cards. Now in Version 2. Easily create better flash cards. Draw and add media to make richer flash cards. Print flash cards for studying anywhere, any time. 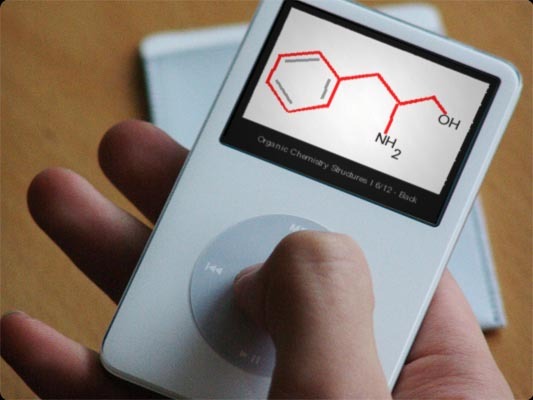 iPod Flashcards. Cell phones and PDAs welcome, too. Study flash cards for languages from Chinese to Greek. Games and quizes reinforce and test your knowledge. 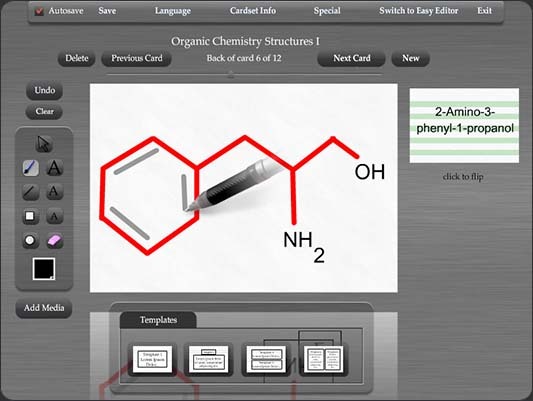 Flash My Brain offers a natural interface for creating text and graphical flash cards. Drawing a benzene molecule or an equilateral triangle are a cinch. Text flash cards of languages from Chinese to Greek to Georgian to Spanish couldn't be easier. Flash My Brain is a unique suite of software that makes flash card learning easy, fun, and worthwhile. The Flash My Brain learning process helps you learn things faster and more completely, while keeping you engaged and challenged. 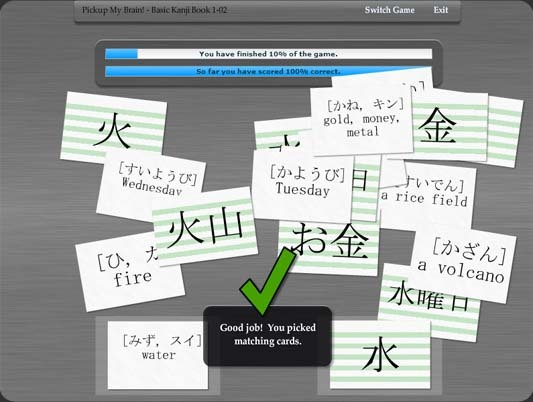 To help gauge and reinforce your knowledge, Flash My Brain offers five mini-games while you study your flash cards. The rhythm of the Flash My Brain study process encourages focus and deep memory learning. Your hard work is saved and protected online for you and for the Flash My Brain community. Flash My Brain has countless existing flash card stacks made by students, teachers, and lifelong learners participating in Flash My Brain. Flash My Brain has a deep and rich library of flash cards, ranging on subjects from Western languages like Italian and Greek, to Asian languages like Chinese, to standardized tests like the SAT and GRE, to music and arithmetic. Flash My Brain is Windows and Mac friendly. You can use Flash My Brain online at school, at work, or on your home computer. Use the offline Flash My Brain On-The-Go (included) for when the Internet is out of range. You can even use Flash My Brain to make flashcards for your iPod or cell phone -- or use them with Flash My Brain for the iPhone. Click here to buy Flash My Brain for a new low price $29.95. Bring your cards to life. Print them out: select from the library of 100,000s of cards or create your own card stack and use Flash My Brain's superb print function. 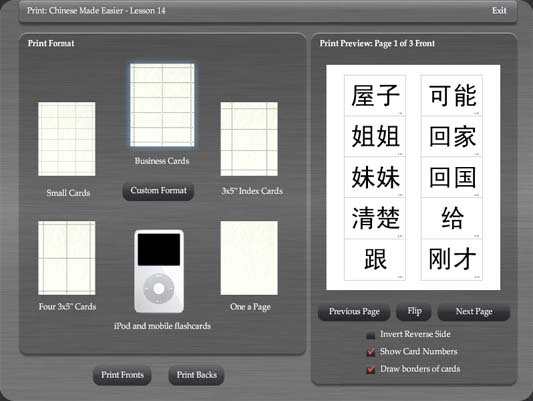 Simply select your cardstock or paper and print on both sides of your media. Use perforated business cardstock to create instant, scissors-free, pocketable study materials. 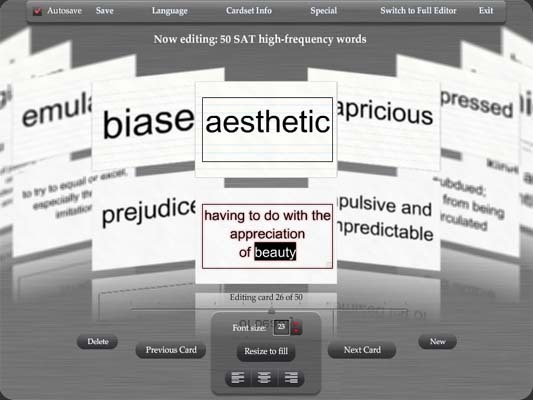 Take advantage of the Flash My Brain easy-to-use upload function to attach images and sounds to your flash cards. That means you can easily make talking flash cards and geographic map flash cards with Flash My Brain. Flash My Brain was designed by a former teacher after carefully observing the way his students studied. Flash My Brain is an effective study tool that will raise grades, deepen understanding, and help people achieve their intellectual goals. For both teachers and learners, Flash My Brain is an invaluable tool for creating and supplying study materials.